Rather late to be posted but on, July the 27th, I, along with my sister and two of her friends crossed off another Sydney foodies “bucket-list” item. 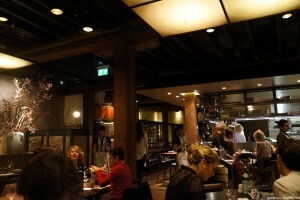 Sake Restaurant and Bar is located at The Rocks in Sydney and is a One-Hatted Restaurant in the Sydney Morning Herald Good Food Guide 2013, and has been for a good while. This is a quick post about our small experience (Mainly images of some of what we ordered, as well as some minor comments) at this trendy restaurant.